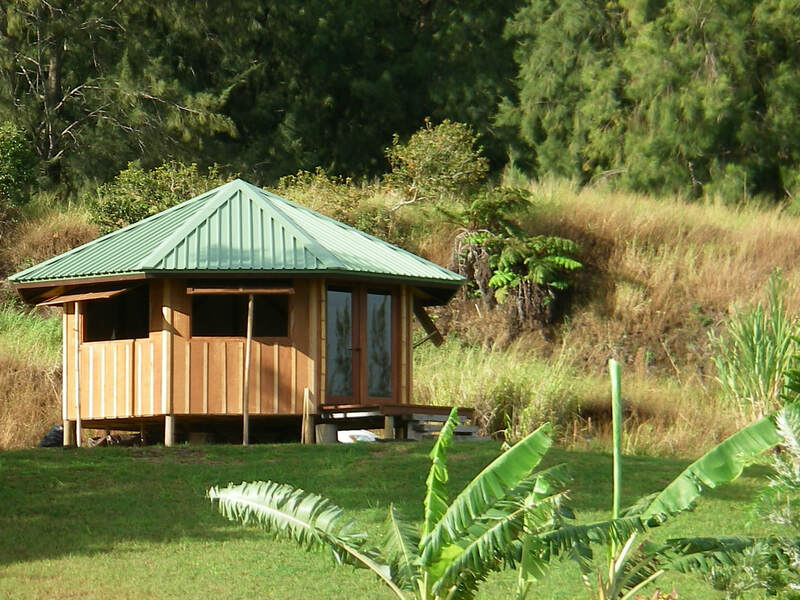 THE GRASS HUT in Hamakua, Hawaii was inspired by simple, traditional Pacific Island living, close to the land and to the ocean. In a remote valley on the island of Maui, a dedicated community works to reclaim forest by fostering a remarkable plant. A plant that can grow stronger than steel in tension or concrete in compression. This wild, primitive grass easily renews itself after harvesting. It can restore toxic wasteland, rebuild topsoil, and mitigate water pollution. If planted in mass, it could even help reduce global climate change. Its forest provides more oxygen and sequesters more carbon than a forest of trees. It is the fastest growing land plant on Earth. It is bamboo. This guesthouse design was created to provide affordable island-style luxury, and to promote bamboo, one of the most useful and sustainable building materials on Earth. The Grass Hut stands off-grid and was built using solar power. 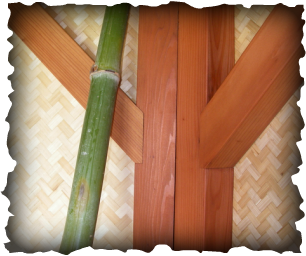 Structural framing is Hawaiian-style single-wall ﻿construction, using redwood for beauty and insect resistance. Bamboo is used for wall and ceiling coverings. Door and window trim is Hawaiian-grown timber bamboo. Exterior is plantation-style rough board and batten. This tropical-style guesthouse qualifies as a "Hawaii Efficiency Studio" and perfectly complements outdoor island living. Pacific Coast Cabins can be custom finished to match any vernacular or regional lifestyle, on or off-grid, for long term living, temporary housing, or luxury camping. Our cabin design works equally well as a polished efficiency studio in town or as a remote rustic wilderness outpost. The world is not a rectangle. Live outside....the box.